Most readers will be aware of the availability of impact weighers (or solids flow meters) for the mass flow measurement of bulk solids and powders. 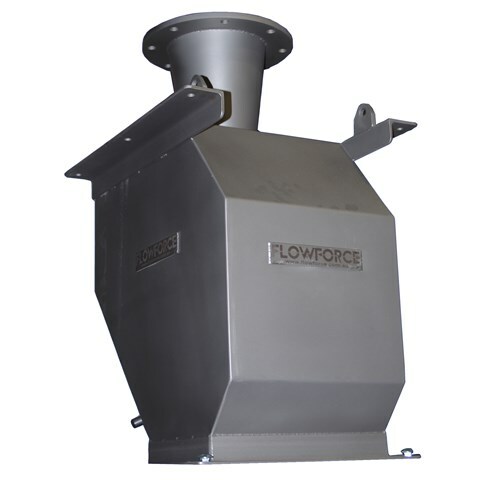 Flow Force Technologies Pty Ltd of Adelaide, SA has worked in this field for 18 years and is aware of the issues involved with using impact weighers with difficult materials such as food powders, hazardous chemicals, hydroscopic fertilisers and other applications where operators need to routinely clean the weigher internals. In particular cleaning in place has the potential to damage the load cell or other force sensor. FlowForce™ has now solved this problem with the development of the new MAGNE//FLO impact weigher. As the name implies this new impact weigher uses magnetic techniques to transfer the horizontal force component of the flowing material to a special type of load cell housed within a stainless steel enclosureadjacent to the impact plate. The force transfer is thus purely related to magnetic coupling between the impact plate and the load cell. There is no mechanical or physical coupling whatsoever. So the impact plate and other weigher internal contact surfaces can be cleaned, scrubbed, hosed down etc without fear of damaging the load cell. The MAGNE//FLO was launched at BULKEX 2006 in September. FlowForce™ MD Brian Lewis, stressed that this new design has been thoroughly proven in a trial installation in Adelaide and represents a step change improvement in impact weigher design based on 18 years of practical experience in this product area. Series 3 style for vertical chutes using inclined impact plate. (See picture). The MAGNE//FLO™ also features a built-in local display and user-friendly membrane keypad that simplifies installation, reduces cabling and enhances operation. All FlowForce™ impact weighers are available with a large range of options to suit various industry specific requirements including data display & management software to simplify the task of process monitoring and stock-taking.